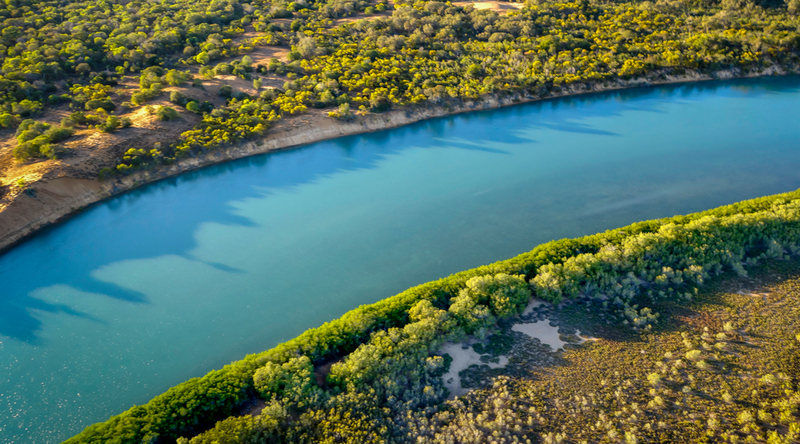 Pungalina-Seven Emu Wildlife Sanctuary protects an area of extraordinary conservation value, including 100km of the nationally significant Calvert River, and 55 kilometres of pristine Gulf of Carpentaria coastline. The property captures a remarkable ecological gradient which extends from the ocean and its adjacent lowland plains to the top of the rugged sandstone plateau which dominates the Gulf region. The Pungalina-Seven Emu project represents an historic partnership between AWC and an indigenous landholder, Frank Shadforth and his family. The Seven Emu component of the wildlife sanctuary is aboriginal pastoral land, owned by Frank Shadforth, that is leased to AWC for nearly 30 years. 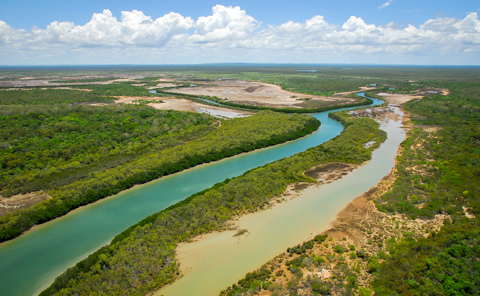 Seven Emu was the first parcel of indigenous pastoral land to be leased by a private conservation group, establishing an important new model for conservation on indigenous land (since replicated at Tableland). Pungalina is perched on the edge of a rugged sandstone plateau, overlooking the vast coastal plains of Seven Emu. 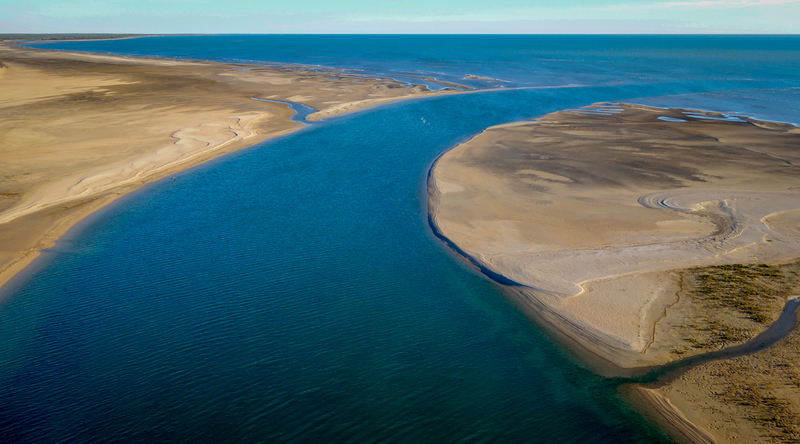 The two properties are connected by the powerful Calvert River, which has shaped the Pungalina-Seven Emu landscape for millennia. 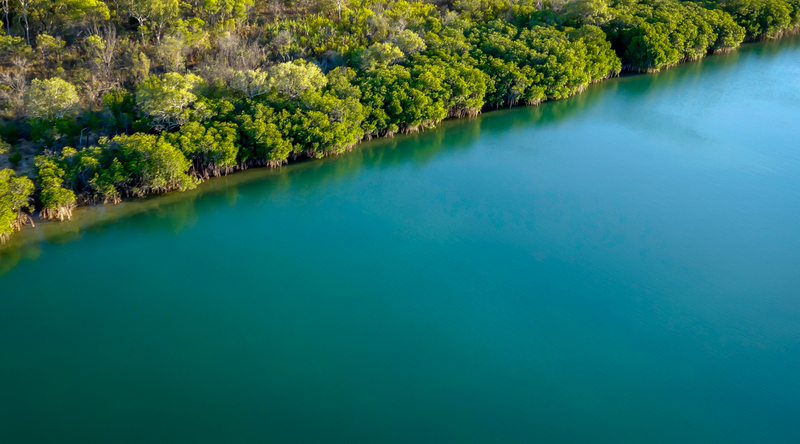 The vast sanctuary supports a rich montage of habitats including coastal rainforest, mangroves, riparian forest, eucalypt woodlands, perched wetlands and bubbling thermal springs. 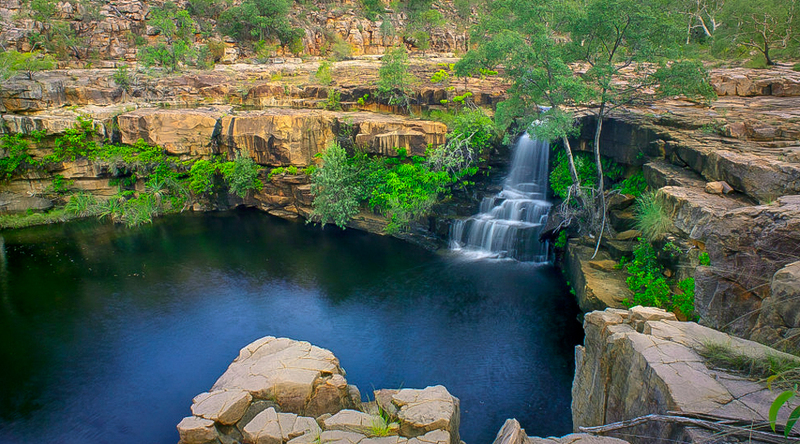 This makes it a refuge for many species that are in sharp decline elsewhere in northern Australia. 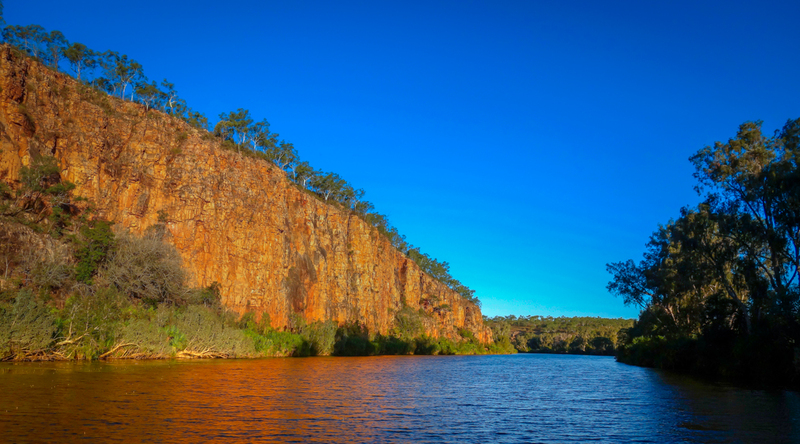 On Pungalina, the Calvert river has carved a network of deep gorges and dramatic sandstone escarpments. Here, the monsoon rains are collected from across the tropical savanna before tumbling off the plateau and through Seven Emu to meet the salt water of the Gulf of Carpentaria. 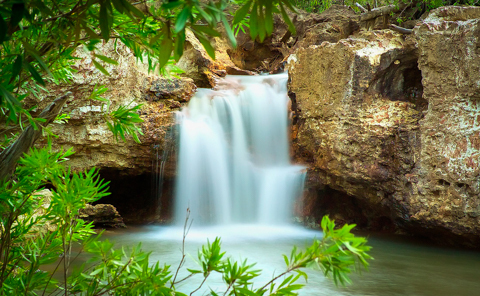 During the wet season, the waterways on Pungalina-Seven Emu rise sharply: dramatic waterfalls appear in the rocky escarpment country, while elsewhere rivers and streams break their banks and flood across the landscape. When the water retreats, the long, clear pools of the Calvert and the permanent wetlands on the property provide a network of dry season refuges for wildlife. A series of thermal springs are another feature of the Pungalina landscape. Water bubbles up through the sand to create a unique natural spa. There are also many deep limestone caves on Pungalina, which provide refuge for bats and other fauna and boast dramatic stalagmites and other formations. Pungalina and Seven Emu combine to capture a remarkable ecological transect, stretching from the coast to the sandstone uplands of the interior. Along this transect, a complex pattern of different ecosystems showcase the diversity of the Gulf Region. Near the coast, the beaches are lined by She-oaks, while strips of mangrove forest hug the estuaries and waterways, whilst coastal monsoon rainforest surrounds the sand dunes. The coastal plains contain a network of freshwater and brackish lagoons, as well as salt flats, grasslands, and a variety of different woodlands. Sandy soils are dominated by Northern Cypress and Darwin Stringybark, with bloodwood and paperbark where the soils are heavier. Further inland, the ancient sandstone rises closer to the surface and the woodlands become more open. In places, the sandstone breaks through as heavily weathered outcrops studded by Cabbage Palms and Cycads, as well as eucalypts. Perched wetlands on top of the plateau support concentric rings of waterplants, Coolibahs, Northern Swamp Box, and paperbarks. 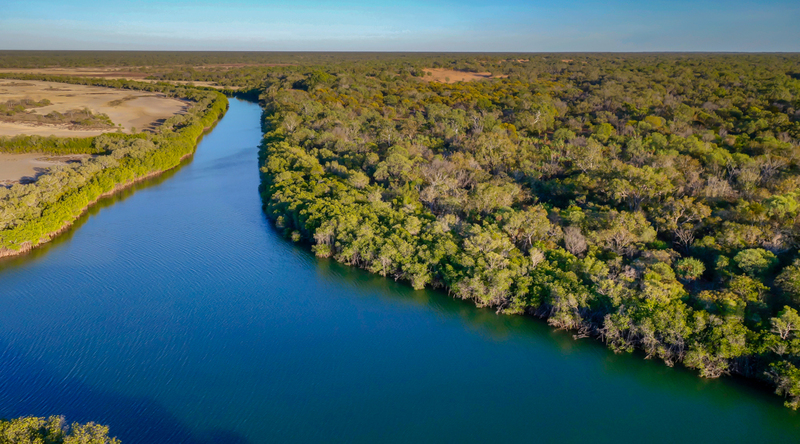 Along the Calvert there are pockets of dry rainforest and River Red Gums in tall riparian forests, as well as Pandanus Palms and Freshwater Mangroves. 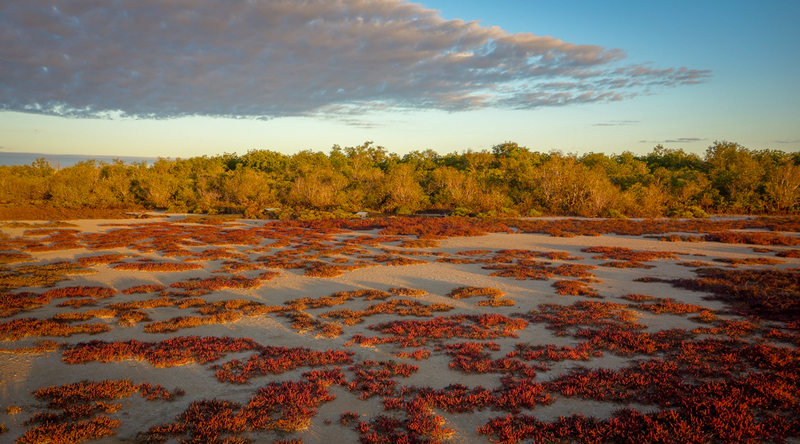 Many of the ecosystems on Pungalina are not protected in any national park, and several are considered nationally threatened, giving this sanctuary great conservation significance. Pungalina-Seven Emu is an important refuge for the declining wildlife of the Gulf of Carpentaria, protecting nearly 50 mammal species, over 200 bird species and over 100 reptiles. This species inventory does not include marine mammals or pelagic seabirds like boobies, most terns, and frigate birds that are likely to visit the shores of Seven Emu regularly. 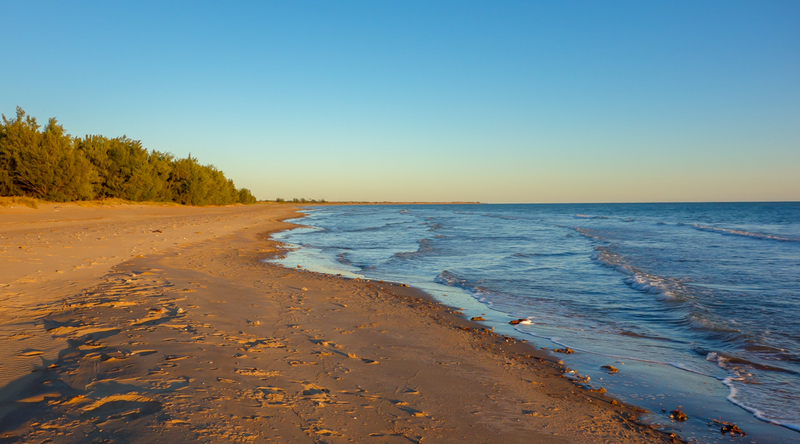 A range of threatened species are found on the property including the Gulf Snapping Turtle, the Freshwater Sawfish, the Gouldian Finch, the Beach Thick-knee and the Red Goshawk, as well as sea turtles. 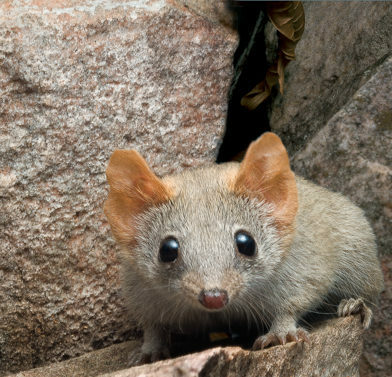 Perhaps most notable is the Carpentarian Pseudantechinus, a nationally threatened small carnivorous marsupial for which Pungalina-Seven Emu appears to be a stronghold. When a Carpentarian Pseudantechinus was first captured by AWC ecologists in 2009, it was only the 20th individual of the species ever recorded. The property also protects Northern Brown Bandicoots, Spectacled Hare-wallabies, Antilopine Wallaroos and other mammal species which, while not yet on the threatened species list, have declined over large parts of northern Australia. More common species include Short-eared Rock-wallabies, Rock Ringtail Possums, Northern Nailtail Wallabies and Sugar Gliders. There are three locally endemic reptiles – the endangered Gulf Snapping Turtle (the Calvert River Snapping Turtles may be a new species) and lesser known species, the Carpentarian Ctenotus and the Borroloola Dtella. The river supports its own suite of mammals from the Water Rat, which searches for invertebrates along the banks, to the 3 metre long dugong that feeds on seagrass in the tidal reaches. The resident wildlife community changes with the transition from coastal waters to sandstone uplands. 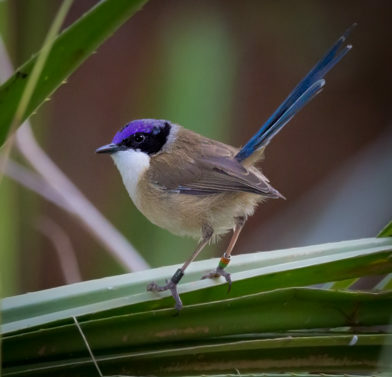 Mangrove Robins at the coast are replaced by Buff-sided Robins (and Purple-crowned Fairy-wrens) in the freshwater springs along the Calvert River, while crab-eating Collared Kingfishers give way to Red-backed Kingfishers in the savannas. Red-headed Honeyeaters in the coastal mangroves have their place taken by a bevy of other honeyeaters in the woodlands including Banded, White-throated and Grey-fronted Honeyeaters. It is a birdwatcher’s paradise. Pungalina-Seven Emu is host to a resident Ghost Bat population. Ghost bats are Australia’s largest micro-bat and are listed nationally as a vulnerable species. They are threatened by habitat destruction, roost disturbance and collisions with barbed wire fences. 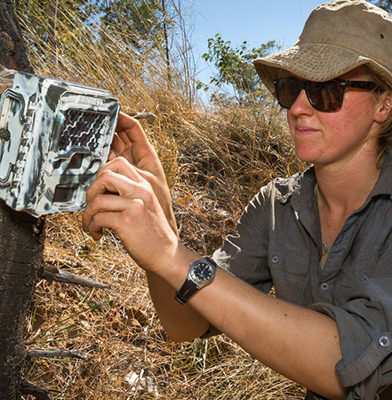 Since 2016, PhD student Nicola Hanrahan has conducted research on the social dynamics, vocalisations and behavioural responses of the Ghost bats at Pungalina-Seven Emu, which will provide a greater understanding of threatening processes and inform improved monitoring techniques for this species. 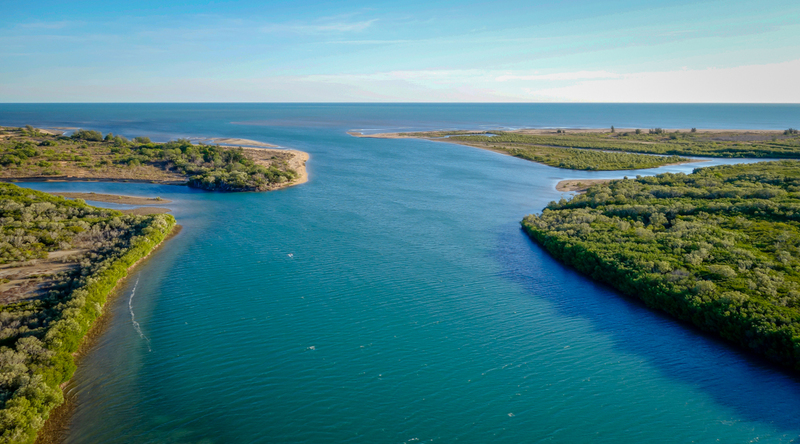 In 2018 AWC finished the construction of a fence along the coast and up into the escarpment, establishing an 80,000 hectare area that is free of large feral herbivores (cattle, horses, donkeys): the only feral herbivore-free section of the coastline in the Gulf of Carpentaria. 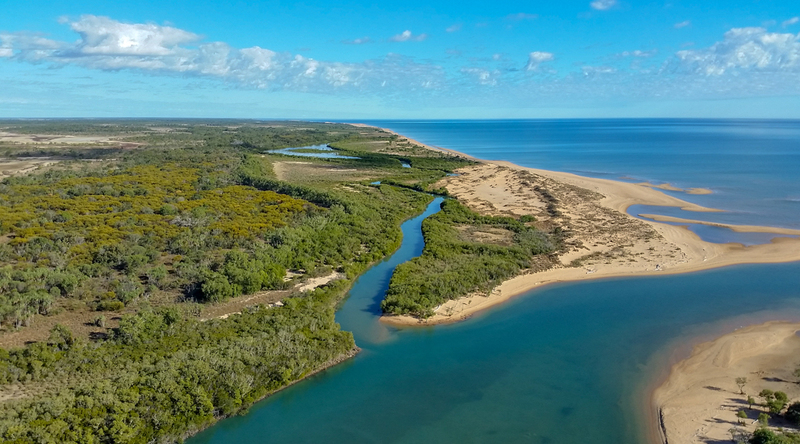 This major achievement should deliver significant ecological returns, especially for species which rely on interconnected coastal wetlands. AWC is reducing the density of feral herbivores elsewhere on the property through mustering, shooting and trapping, and removed 850 individuals in 2017 alone. Active fire management has delivered exceptional results, dramatically reducing the impact of wildfire. 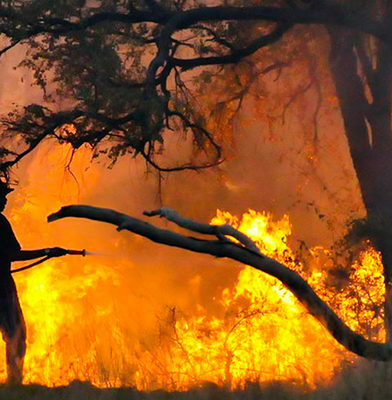 Fire management at Pungalina-Seven Emu involves prescribed burning in the early dry season (usually April-May) and, if required, fire suppression in the late dry (August – December). This ensures that the landscape contains patches of old growth vegetation (which many animals need for food and shelter), and helps in defending fire-sensitive habitat such as riparian vegetation and rainforest patches. Depending on conditions, some storm burning is permitted throughout the wet season, complementing the dry season program and adding diversity to the fire mosaic. Pungalina-Seven Emu is the base for a major regional weed management program, supported by the Federal Government. The weed requiring most attention is Parkinsonia. It is distributed patchily along the banks of the Calvert River as its seeds are dispersed by floodwater. Several hundred hectares of this weed have been removed from Pungalina-Seven Emu already, largely by the Shadforth family. 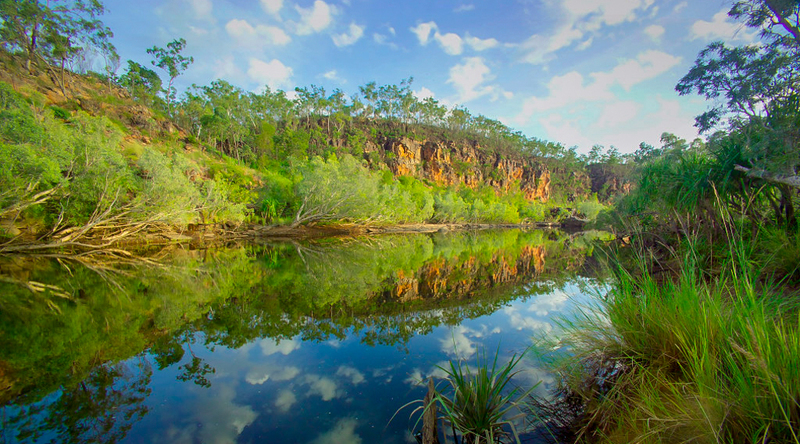 AWC is now co-ordinating a major regional project to control Parkinsonia across the Calvert River catchment, targeting the removal of seeding trees from the upper reaches of the catchment. 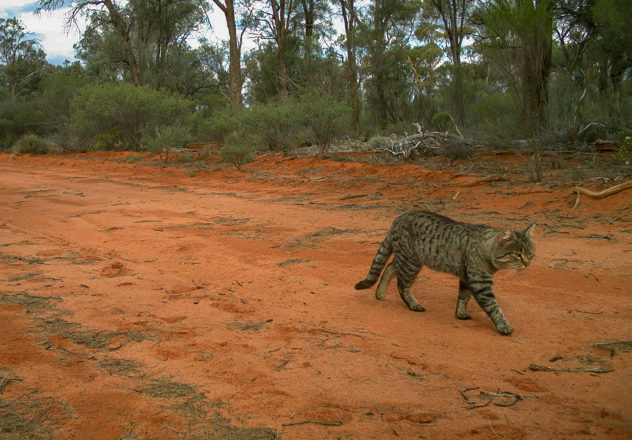 AWC carries out feral cat control on Pungalina-Seven Emu, including camera trapping for population estimates, targeted shooting, protection of ground cover, protecting the dingo population, and research in conjunction with our program based at Mornington-Marion Downs. 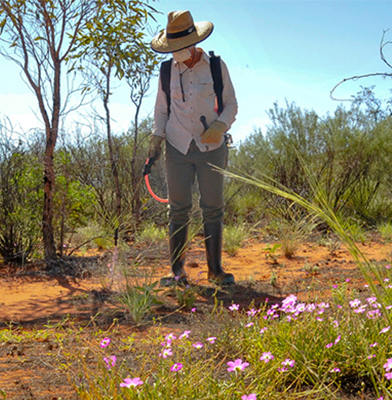 AWC’s science team measures more than 25 indicators of ecological health at Pungalina-Seven Emu, including the abundance and diversity of key faunal groups as well as the density of feral herbivores. Research activity on Pungalina-Seven Emu is focused on examining the catastrophic recent decline of small mammals in northern Australia and identifying land management strategies that will halt and reverse this decline. Pungalina-Seven Emu is the only mainland protected area in which the species occurs. 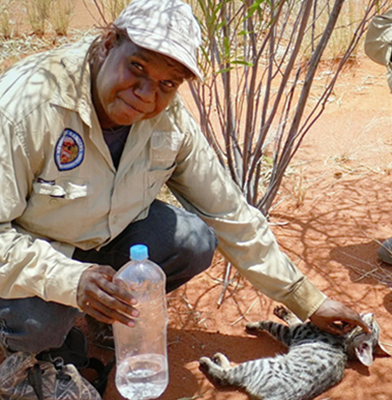 Wildlife in Northern Australia is under threat due to a number of factors, such as invasive species and destructive wildfires. There has been a particularly sharp decline in small mammal populations and AWC’s research-based land management aims to turn this around. By removing feral herbivores and managing fire patterns, ground cover can be protected and restored, providing crucial habitat and shelter from feral cat predation.